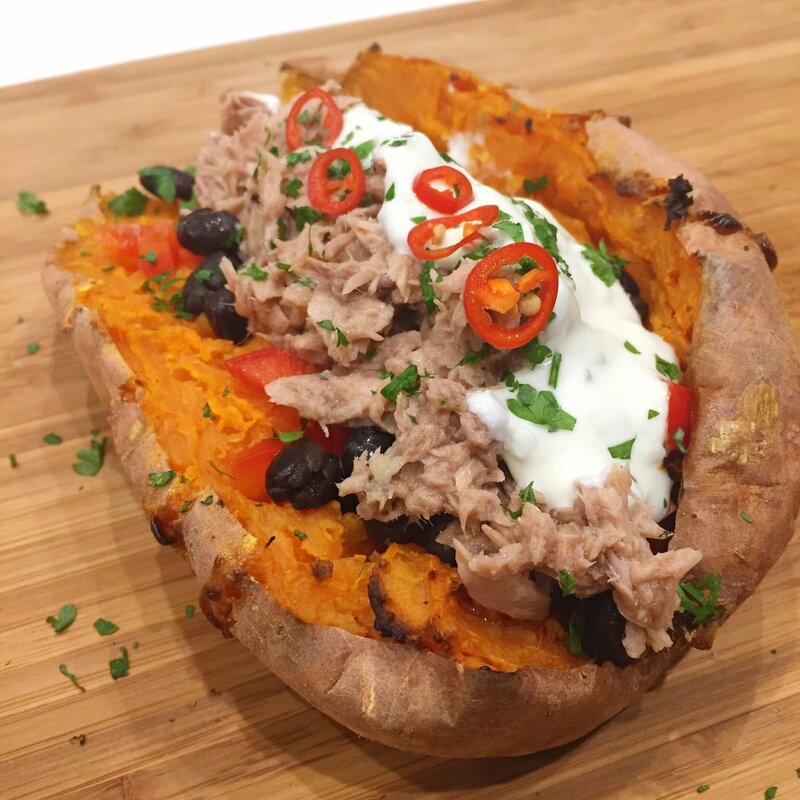 I love sweet potato; I love tuna! So the idea of combining two of my loves into one delicious dish that is a cinch to prepare, really gets me excited. I lived in the UK for approximate 3.5 years and during that time, jacket potatoes and tuna became a favourite of mine. Every high street in the UK has its own jacket potato van that stuffs a huge variety of fillings into the humble spud to warm you up on a chilly morning. Well my UK days are well behind me but the nostalgia is not. This is why I've reincarnated the stuffed potato, just in a slightly healthier form. 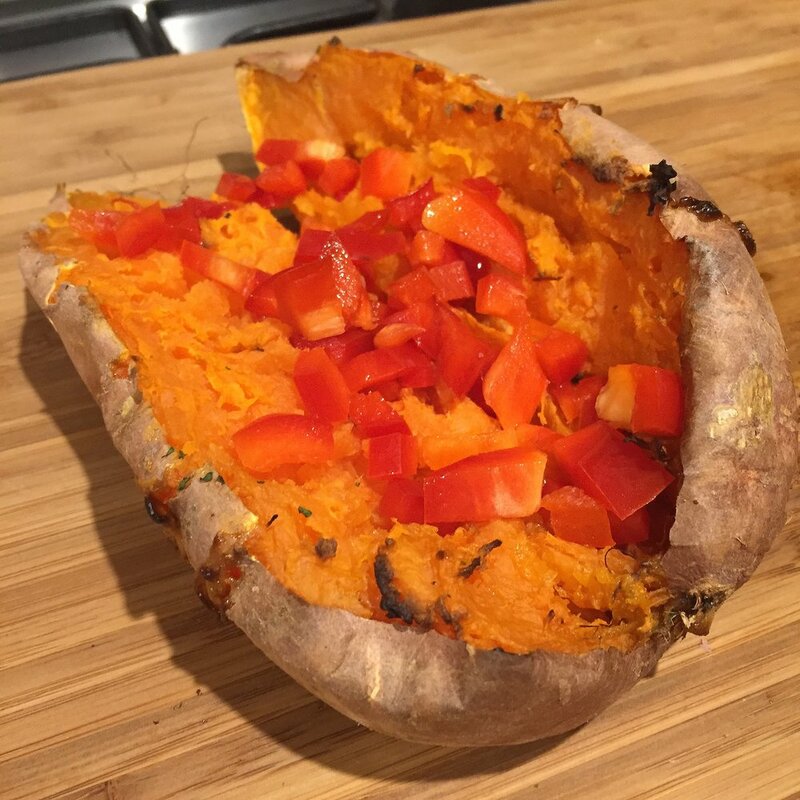 I personally eat around a model of moderate carbohydrate intake that focusses on the inclusion of primarily lower GI, less processed carbs - brown/black rice and sweet potatoes are my two staple carb choices. They help me feel fuller for longer, are less processed that other carb choices and are versatile enough to use in a range of dishes. I urge you to try this simple recipe out and the best part is, the types of fillings you can select is endless. See for example the pic below that swapped out the tuna for grilled lean mince with sautéed veggies. 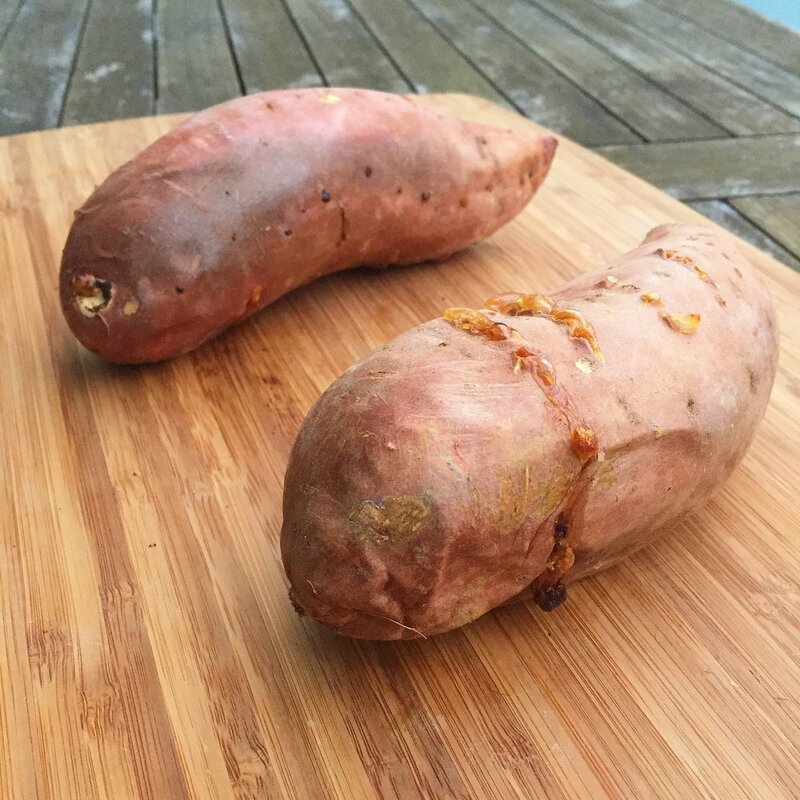 Take your sweet potatoes and randomly fork-poke 15-20 holes in one side of them. Place them that same side up in an oven preheated to 200 degrees and cook for one hour. Once cooked, split potatoes lengthways with a knife to open them up. Use a fork to mash slightly the potato flesh in the same way you'd mash an avocado. Lay down your black beans and capsicum into the potato. Top with tuna. Spoon on some tzatziki; garnish with chopped parsley and chilli.